WPW032553 WALES (1930). 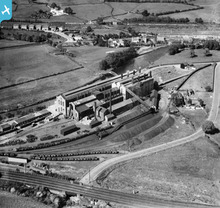 View of the South Wales Electric Company, Upper Boat Power Station, oblique aerial view. 5"x4" black and white glass plate negative. 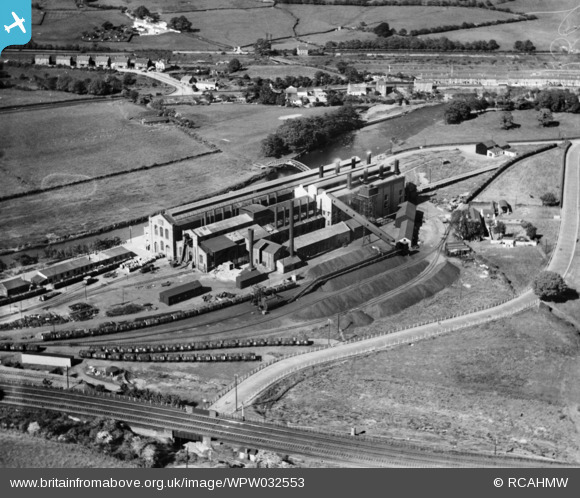 Title [WPW032553] View of the South Wales Electric Company, Upper Boat Power Station, oblique aerial view. 5"x4" black and white glass plate negative. Taff Vale Main Line Pontypridd to Cardiff by 1930 part of the GWR. Cardiff Railway Company line between Heath Junction and Treforest, opened on 6th August 1897. There was a station here at Upper Boat, opening in 1911 and closing in 1931. The line between Treforest Junction and Rhydyfelin (across the river) closed in 1925 and the section here back towards Cardiff as far as Nantgawr was closed in 1940.